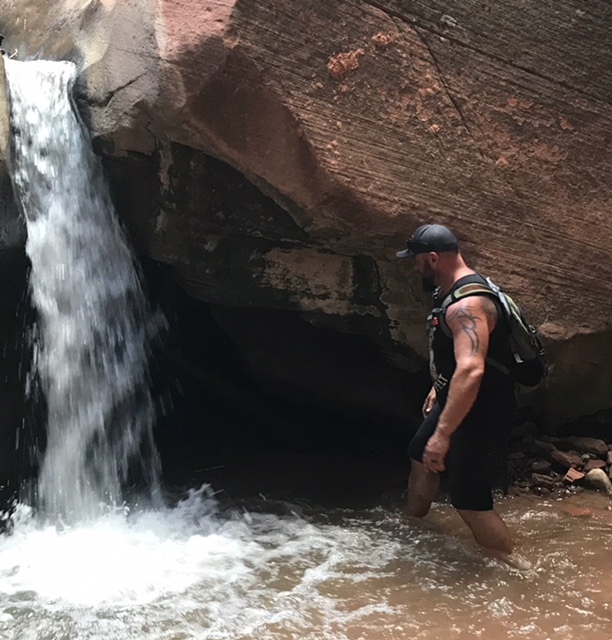 The best place to start this blog is with a quote from my son, “Dad, that was my favorite hike we have ever done!” Nothing makes a dad feel better than creating a good memory! If you haven’t had time to explore Utah you are really missing out. This state is so diverse in its beauty and out door activities. I still have so much I want to explore here. That being said, I love doing things that others don’t! Enter in Kanarra Falls, Utah. This little know area gets shadowed by Zion and Bryce Canyon National Parks and it also sits on private property. Be prepared to bring $8 per hiker but trust me it is FULLY worth it. One last thing, if you take this adventure on make sure you have good water hiking shoes. Sandals work ok but I’m not a sandal guy so I say go with a good water shoe or water hiking system. This hike starts out with a couple steep, dusty hills but will lead way into a creek. You pop in and out of the little creek. Trust me here, don’t waste your time on little falls and babbling brooks because the real gems are ahead! Do I need to keep typing or can you just follow along? At the end of the blog you will find a short video we created for the blog and the Journey with Jax YouTube Channel. …and now time to enter if you so dare to choose…. The deep crack into the narrow canyon is absolutely amazing. This is not the place to be in case of earthquake or for that matter if you get claustrophobic! Be prepared for a very slippery ladder at your first fall. The have been some nice people who have attached ropes to also help assist you. The steps are in place with one bolt so they tend to move side to side so keep you feet closest to center! The second ladder system was much more difficult than the first (hence no pictures). We made it pretty far but lost light and this is not a place you want to be hiking in pitch darkness. By the time we got back to our vehicle it was pitch black…suggestion being start earlier! This was an amazing hike, surprisingly cool even when it was triple digits outside the gorge. Below you will find a quick video blog on the adventure!